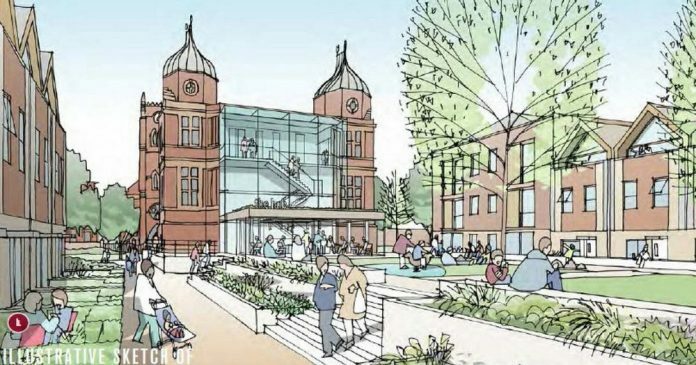 It has been revealed that the eighteen-acre site of Derby’s former DRI hospital has been sold to Nightingale Derbyshire Ltd, a new firm co-founded by Birmingham tycoon Grahame Whateley. It came as a surprise to learn London-based First Urban had outline planning approval to build up to 500 home on the site which was cleared in 2015. First Urban had agreed to buy the site once planning was agreed but were happy to let the University Hospitals of Derby and Burton NHS Foundation Trust negotiate with Nightingale Derbyshire Ltd when interest was expressed. James Dickens, a co-director along with Mr Whateley, says more than one option was being explored: “We’ve worked up a couple of hypothetical schemes and we’re looking forward to discussing them with Derby City Council’s planning department,” he said last week, adding that they want to “build something special”. The new investor has been welcomed by John Forkin, MD of Marketing Derby who told Business Link: “Cleared city centre sites of this scale are very rare and can be challenging in taking forward. “The investors behind Nightingale Derbyshire are credible, having worked in cities such as Bristol and Edinburgh.